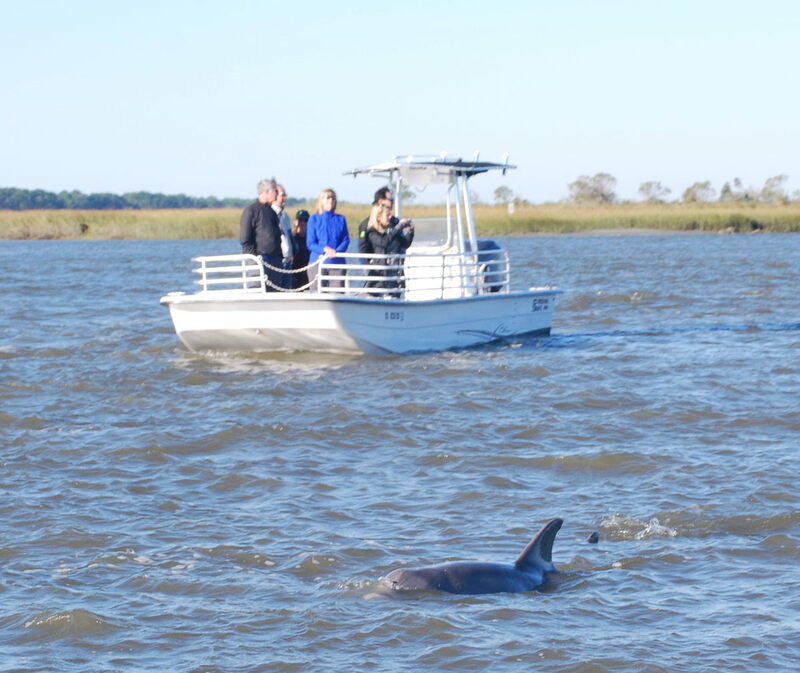 Board our Carolina Skiff bay boat as we explore the inlets, creeks and marshes behind Folly Beach in search of Atlantic bottlenose dolphins. 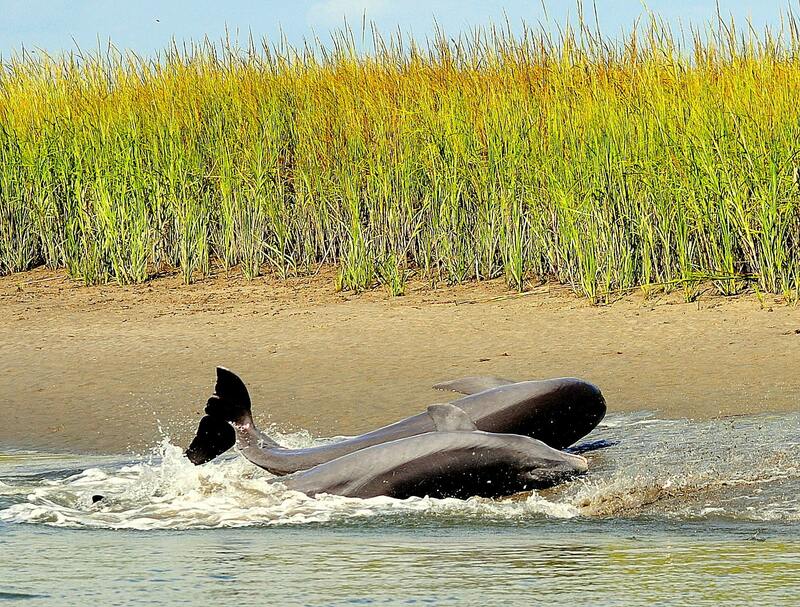 The waters surrounding Charleston are home to more than 300 wild dolphins who live here year round. 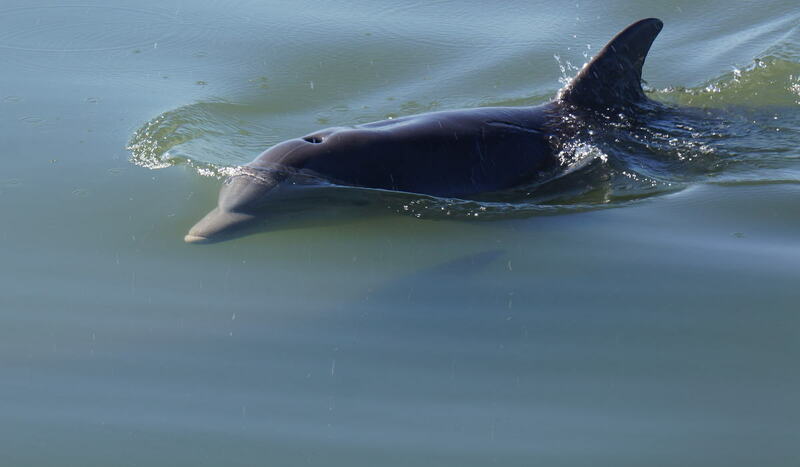 While the resident dolphins are not fed or trained, with the right know-how, they can usually be found within thirty minutes of departure in calm estuary waters. 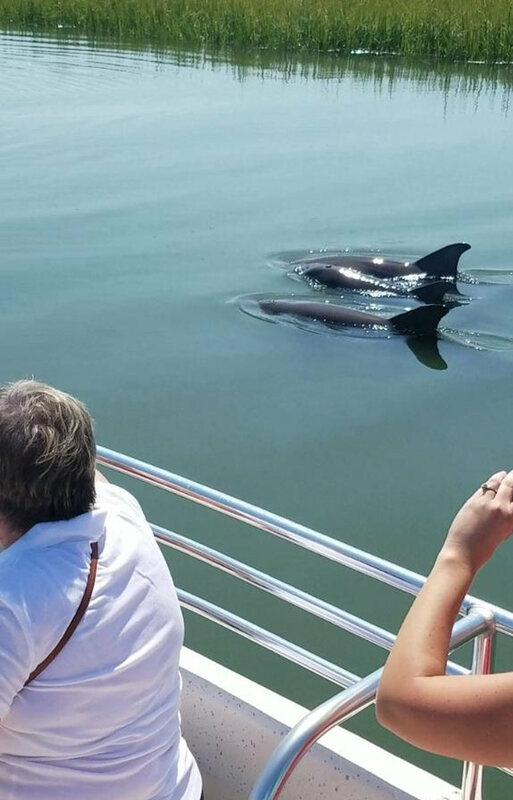 Your captain will discuss our natural ecosystems & wildlife, local history, and dolphin fun facts while always operating the vessel in a manner that is safe and respectful of the dolphins and their need for space. You will be able to watch these intelligent creatures play, feed, mate and sleep in person from a close, but safe, distance. As you cruise through this saltwater wilderness, you may also see dolphins exhibit a unique hunting technique known as strand feeding. This feeding technique is amazing but rare to see as it has only been observed in this region of the world. 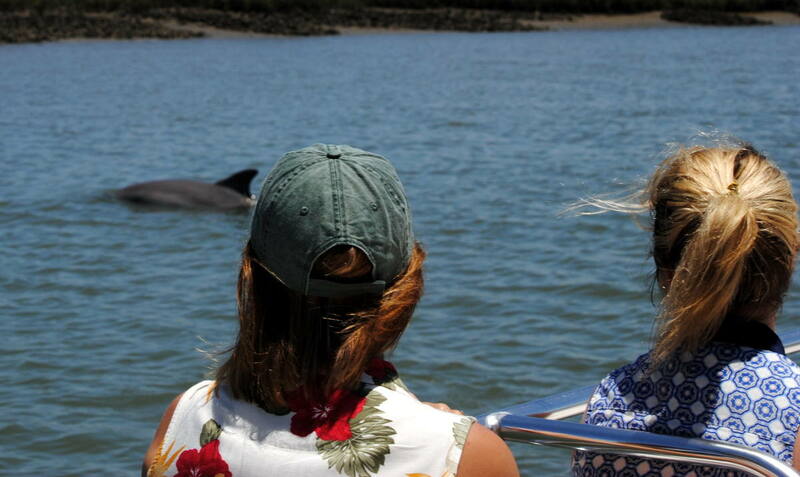 Join us on our dolphin eco-tour for a wild dolphin experience you will never forget! 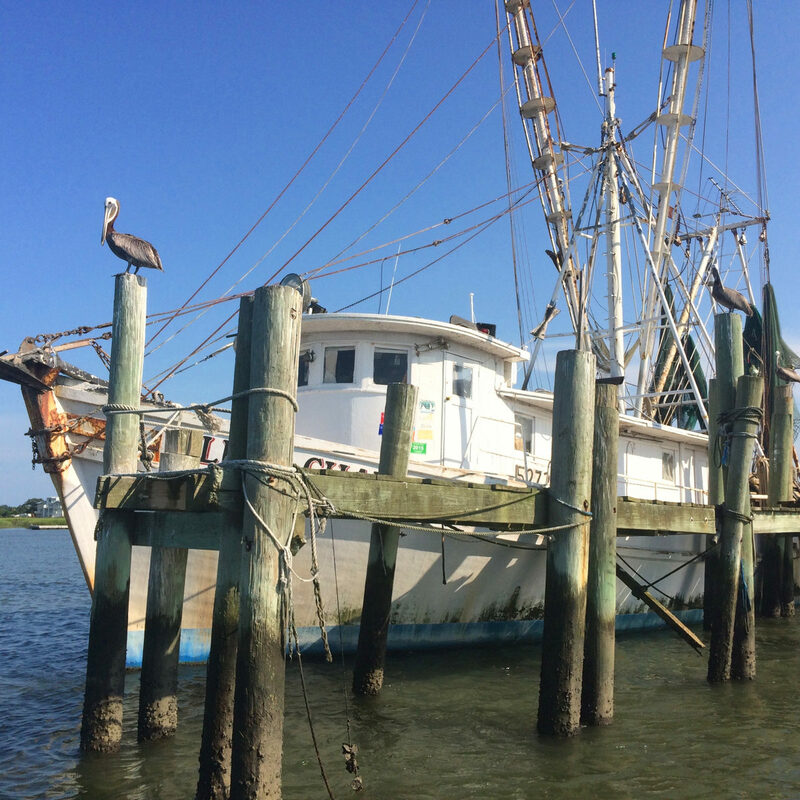 In the summer time book morning or early evening tours for cooler temperatures as there is no shade on the boat.